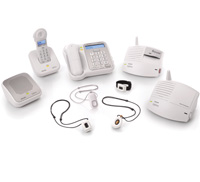 Philips Lifeline offers dependable, convenient, and purpose-built technology, assembled and tested by Lifeline right here in the United States. What does that mean to you? Just like how in the event of an emergency, you can get help quickly, we're also available to monitor our equipment. It's self-checking and notifies the Response Center if it detects a power failure or low battery. Ready to get started? Explore the communicators and personal help buttons that appeal to you, then we'll show you compatible services that best fit your needs.